For small businesses like ski shops, finding high quality images to use on on your website, blog or social media can be a daunting task. Especially when you cannot afford to purchase images from well known professional sites like Getty Images, iStockPhoto or GEPA Pictures. Ultimately the paid sites do have the best photos. But when you absolutely need professional images, but can’t afford to buy them, look to the many free image sites out their for high quality photos that are completely free! There are images that are free. Completely free for any legal purpose for personal and commercial use. With no restrictions. These images are typically licensed under the Creative Commons Zero (CC0) license. Under this license, you can copy, modify, distribute and perform work, even for commercial purposes, all without asking permission. And then there are royalty free images that you have to pay for. Professional agencies like Getty and GEPA offer royalty free images. Meaning the photos are protected by a copyright and they charge a one-time fee for the usage of that picture. The fee is based off of the circulation and the size of the image used. Fees can range from as little as $20 to hundreds or even thousands of dollars for large format images that will be used on websites with high visitors stats or for high profile advertising campaign across multiple formats. These images contain a watermark when you view them on their site. This watermark is removed when you buy the image. These sites all have high quality professional images that are available to download and use however you would like without giving credit to the photographer (unless of course you want to do a solid and do so). Each site has many of the same images, but they also have quite a few that are specific to them. Most of the time they will make you register with them to download images, but it really is a great way to browse and save photos to your account for later. Inevitably, when I am searching for photos I find about twenty that “will be great if I ever do this or that” while I am looking for that one perfect shot for right now. A generic snow related image from Pexels – that you could edit to include whatever words you want on the sign. I have found these three free image sites to be the best for what I do for ski shops, skis reps and ski brands. Additionally, they have work well for bike and outdoor stores and brands too. Unsplash – Unsplash sends weekly emails of curated collections of images. Once you click through to the collection, you can then additionally browse every image on the site. All are beautiful photos that are typically very much in the here and now and on trend with current lifestyles. There aren’t a lot of skiing related images or images that skew east coast skiing, but what is there is good. And if are out west or convert to bike or boat for summer – there are tons of great images to be had. Unsplash images are definitely more general or landscape and scenery related. Pexels – What I LOVE about Pexels is the ability to search for images by COLOR! This makes creating a cohesive color scheme across whatever it is you are working on easy. Additionally you can resize the image to one of 4 predetermined sizes, or choose your own custom size before download. Whether it be your website or a multi-image ad, Pexels helps you to look like a professional graphic designer, even though you are just the owner of a ski shop that understands the value of a good image! Be aware that you do have to pay for the “Sponsored Photos” at the bottom of the free photos. But at least if you use the Pexels Code at checkout you will get a discount! Pixabay – There is a ton of great snow and ski related images on Pixabay. Probably the most out of all three of these free image sites. The site is easy to use and has tons of pictures to choose from. They also have illustrations and vector graphics. You can also search by color here too. Be aware, they too have “Sponsored Photos” that show up on some of the pages, which will cost you. 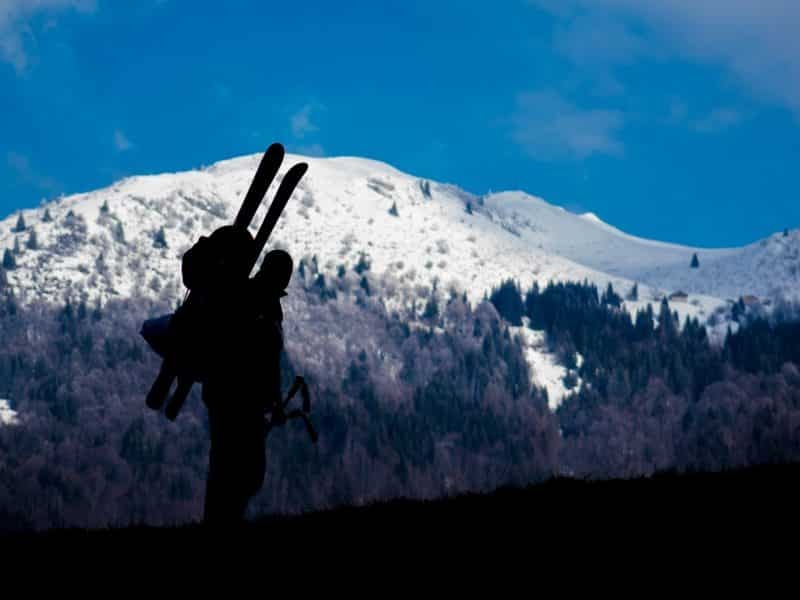 Don’t forget – Ski, bike and outdoor brands spend thousands of dollars taking high quality photos of their products and people using the product for their own marketing purposes. They also make these images available to their dealers. You can utilize these brand specific images at no cost to market their products. Tecnica/Blizzard, Fischer, Nordica, Head, Dynastar/Lange/Look, The North Face, Kuhl and many others all have lifestyle images available. Sometimes they call them action shots, sometimes they call them lifestyle shots. Get the image bank url and login/password from your company sales reps.
Do you have any favorite free image sites that I have left off of this list? Let me know in the comments!